I don’t do a whole lot of travel, occasionally some through my work, and of course family vacations. Sometimes when I do travel I get a rental car if it’s somewhere I have to fly to. I’ve never purchased the rental car insurance, because I figured my car insurance was good enough. Technically this is true, but once I had to deal with the situation face to face, I realize I could have saved money by getting rental car insurance instead. On one of my trips, the rental car I was driving had been victim to a hit and run while parked. The damage was close to $600, and my insurance deductible was $500. Needless to say I was out of pocket $500 for the insurance deductible through my own insurance, when I could have paid a much lower sum for rental car insurance. I could honestly go either way about rental car insurance. It is probably best to get the insurance no matter what, simply because it would not only save you deductible money if you were to get into an accident, but it would also (in theory) not affect your insurance premiums by counting against your insurance. So really there are two pluses to purchasing rental car insurance. The only downside I can think of would be shelling out the extra money for the insurance, and then not needing it. If you rent frequently, this could certainly add up. 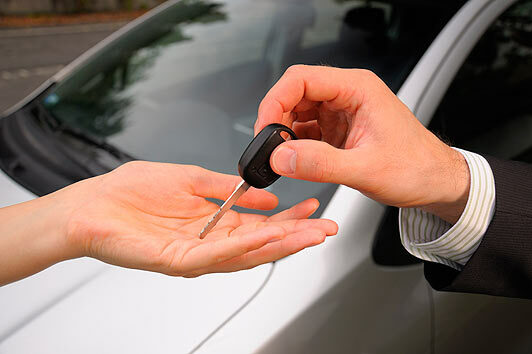 So I would say the usefulness depends on how often your needs are for rental vehicles. If I used rental services a lot, I might just go ahead and make sure I have my deductible saved up in my emergency savings account as a safety net. Eventually it will surpass my savings of having to purchase rental insurance frequently. This entry was posted in Money Drain Stories and tagged automotive, car insurance, deductibles, insurance, money drain, rental insurance, travel. Bookmark the permalink.